So called evidence based medicine is not scientific. It cannot be accepted as evidence in a criminal court because studies are done on heterogeneous groups of people, but the results of the studies are then applied to patients who are not representative of those groups. Case studies produce more valid evidence. The history of medicine is replete with instances of doctors who have a greater consideration for the size of their practice and income than they have for their own medical progress or for the welfare of their patients. The currently rigid and narrow views being expressed by mainstream science are not ideal. Long-term audits reveal that many of our highly touted technologies can be ineffective -- or even downright dangerous. Let us encourage people to think more freely. Let us not condemn new ideas that do not agree with our limited tunnel vision. During the last ten years, Dr. Phillip Shinnick and I belonged to a nexus of scientists, physicians, inventors, healers and researchers from all around the world. We met periodically in various locations because we felt we must do something about the many things that had gone wrong in the worlds of science and medicine. It was urgent that we find ways to get back on track and advance healing. These enlightening gatherings have been most beneficial. Our time spent together gave birth to new ideas, different approaches to improving the human condition, the quality of our medicine and our science. We have found new ways to alleviate pain, suffering and disease. Rustum Roy, Ph.D., an Emeritus Professor and founder of the Material Science Department at Penn State University in College Park, was the impetus. The late Professor Roy was one of the greatest thinkers I ever met. He, Dr. Shinnick and I were very close. During the last few months of his life, Dr. Roy urged us to meet with him to discuss the future of medicine and science. We both grew up in India. Dr. Roy was born to a Brahmin family that converted to Christianity, although they maintained great social status in the Hindu population. Deep insight into both religions gave Dr. Roy a profound understanding of the differences between Western and Eastern approaches to life. Dr. Roy was brought to the US at an early age. By his 20s, he was a full professor at PSU. The first person to replicate rare earth minerals, he and other scientists made fire come out of water. Dr. Roy founded Alcoholics Anonymous. Celebrated all over the world, he received many Academy of Science awards. In 2002, he was given the Order of the Rising Sun, 3rd Class, Gold Rays, with Neck Ribbon in Japan. Dr. Shinnick cared for Dr. Roy during the last six months of his life. I observed that only Dr. Shinnick was able to help alleviate Dr. Roy’s suffering. Although Dr. Roy was being treated with pain medications, Dr. Shinnick did acupuncture on him and gave him a meditation tape. He listened to it twice a day, and that helped usher Dr. Roy to the other side in peace. The tape had been created during the time of Dr. Shinnick’s friendships with He Bin Hui, the Abbot of the Ninth Heaven Taoist Temple in China and with Kevin Chen, Ph.D., M.P.H. Dr. Roy had urged Dr. Shinnick to bring to light the work of Dr. Yoshiaki Omura, M.D, Sc.D., electrical engineer, editor of an international journal and President of the International College of Acupuncture & Electro Therapeutics. Dr. Shinnick worked as his research assistant for eight years. He became Dr. Omura’s secretary and an editor of his research journal. Dr. Omura had developed the Omura O-ring Test, a non-invasive diagnostic technique, and he needed an interpreter to bring out his work. Since Dr. Shinnick was already so familiar with Dr. Omura’s work, he was the ideal person for the job. When testing the traditional Chinese medicine main meridian system with the Omura O-ring for the first time, it was revealed that -- under toxic conditions -- pathways of Qi energy differentiate into new pathways based upon an organ’s pathology. Some pathways, like those of the diaphragm and the heart, undergo phases changes after stimulation. When tested with the Omura O-ring, hormesis, a biological phenomenon discovered by Ed Teller, shows that a small amount of bio-positive radiation is effective when higher doses would be lethal. Dr. Shinnick and Dr. Omura have been able to determine the compatibility of a drug to any individual and its proper dosage by using the O-ring. Throughout this book, Dr. Shinnick will offer constructive criticism, but he will also show us significant ways to surmount the shortcomings of both Occidental and Oriental medicine. Dr. Roy also set up meetings between Dr. Shinnick and Guy Obolensky, a child genius, inventor, engineer and physicist. Obolensky developed a healing instrument, which showered negative ions onto a subject who is placed in a Faraday cage. Dr. Shinnick, from working for ten years with Obolensky, has published insightful, relevant articles on electromagnetism, coulombic, gaussian and photonic energy and various, related, significant case studies. A couple of months before he died, Dr. Roy arranged for me to meet Dr. Shinnick. He and I have similar interests. My background is in cardiology, and he spent eight years at the Heart Disease Research Foundation. He has published material on the memory of the heart influencing body and mind physiology. We agreed on how important it is to publish case studies, and we discussed ways to approach new understandings of medicine, heart disease and science. Dr. Roy and I founded The Journal of the Science of Healing Outcome, which I now edit. I later appointed Dr. Shinnick as associate editor. In this book, Dr. Shinnick presents experimental physiological research showing that viscera -- from outside stimulation -- conditions digestion. Yet this noxious stimulation will fade eventually. Long afterward, the heart realizes approximation of these original noxious stimuli after being neglected by the digestive tract. He suggests that the purkinje fiber and vascular fluids may be involved in retaining harmful memories that might cause regression into past injuries, injustices or emotional trauma. He not only describes unconscious conditions that cause our pain and suffering, he also presents us with ways we can help ourselves overcome them through deconditioning and by synchronizing the mind/body/spirit Whole Person. To gain a deeper understanding, this view of medicine needed more research. In Dr. Shinnick’s juxtapositions of inorganic and organic, the most stable Bose-Einstein states show aspects of Oneness that transcend the normal laws of physics and gravity. His research points toward a new medicine, one that is not driven by profit. This new medicine would help everyone to gain a deeper, more connected, new understanding of self-healing. Dr. Roy, Dr. Shinnick and I agreed that it is necessary to translate traditional, ancient techniques of healing and the use of natural medicines into a modern, cultural consciousness. This book is a product of our years of scientific meetings. It shares some of the data, meticulously gathered for more than 30 years, from the clinical work of the best minds the world has known in physics, chemistry, biochemistry, physiology, philosophy and history. Human beings are capable of self-healing with no outside help when thoughts and emotions are positive, filled with universal compassion. If the mind or the consciousness is negative or hateful, we suffer. Disease can occur. Thoughts and emotions change energy probabilities into physical matter. Man must change the concept of “I” into “We” in order to change his state of illness into one of wellness because we are all interconnected. Dr. Shinnick complained to Dr. Roy about the presentation given by Hans Peter Durr at one of our gatherings. He said that Durr, co-editor of our journal, was all over the place. Dr. Roy replied to Dr. Shinnick, “That is where we are at this point in history. We are doing our best to bring it all together, to make the connections.” And that is just the point. It is what you will find in this book -- making the connections on the path to self healing. The industrial revolution marked an important change in the evolution of humankind. It uses machines and dead sources of energy to mass produce food and material goods, this process tends to increase disorder. It creates greater fragmentation because it uses human beings to exploit nature and other human beings. We can now see that the U.S. health care systems, by following the mass production model under Capitalism, treat patients like commodities or cattle. Health care private capitalism is a system designed to fill the pockets of shareholders through dividends, and stock values; executives of insurance companies are rewarded for denying health benefits (particularly for more traditional or alternative medicine). The medical profession no longer offers benefits that treat the Whole Person due to time limits demanded by the insurers. Instead, it primarily recommends taking high risk drugs and surgery. Drug companies subsidize physicians each year 6.5 billion, with physicians holding a billion in stocks. Scientific research funds just an interior reductionist approach on the molecular level not the Whole Person (response to the diagnosis, behavior, and circumstances causing disease). Companies that create new technological instruments promote expensive, high tech diagnostic tests that have questionable benefits. While the healthcare system profits from pain and suffering, these practices continue to move us away from nature sources of disease and toward instrumental, mechanistic thinking ignoring the totality of the situation..
We are neither machines nor commodities from which to make a profit. We are living organisms. According to negative entropy, all living things preserve their internal order by exchanging energy with their surroundings. How could we return to a more natural state without going backward in time? We can practice cultural healing techniques that were used successfully in the past to raise human consciousness in the present day. How can we naturally restore our health and our environment? How might we integrate the deep knowledge of past masters with the modern age of science? Dr. Shinnick, Dr. Roy, Dr. Freed, Dr. Omura, Guy Obolensky, Dr. Sancier and Dr. Chen have dedicated their lives to answering these questions. Though their work is scientific, their research has always centered on helping people learn to heal themselves. The work they have done helps us to understand life enhancing energies, how to connect to them and how to benefit from the natural forces that maintain life. Mankind created Medicine, Science, Meditation and Art to satisfy its great desire to understand life and give it meaning. 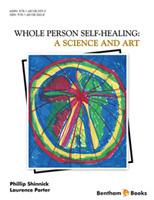 The healing medicine this book proposes is derived from the integration of science, art and meditation. Like us, these systems are open, flowing, and they impact deeply upon each other. Scientists might learn about the benefits of meditation by studying brain waves. Artists can use science to explore new directions in their work. Science, Medicine, Art and Meditation function as an interactive whole, but each system activates a different center in us. Art touches our heart, our emotional center. Science challenges our rationality and intellect, while meditation grounds us in the center located below our navel. The flow between these systems heals us. Our body is at the center of Life. It is Life. We are responsible for our lives, but we often dissociate ourselves from the source of our aliveness. Then our lives are run by myriad thoughts and a limited ego. This creates suffering and violence toward ourselves, other human beings and the whole of life. By being present to the health of our bodies, our minds and our behavior, we can learn to balance our systems and synchronize them. By taking responsibility, we heal ourselves. Then all human beings and the whole of life will benefit from the good energy our healing generates. Whole Person Self Healing Institute, Inc.